Continuous engagement with our stakeholders is imperative in order for the Group to develop more robust and comprehensive sustainable business strategies. 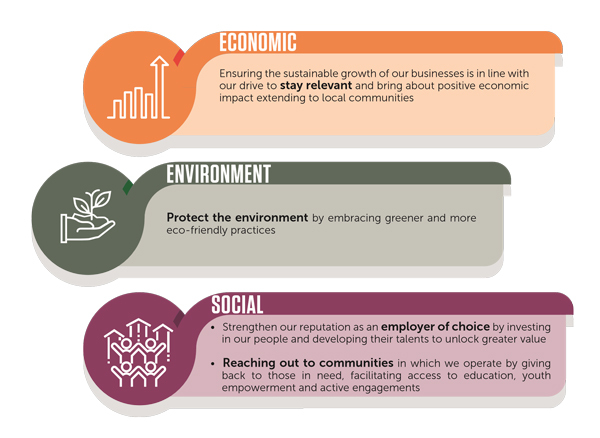 To achieve better outcomes for both our business as well as our stakeholders, we firmly believe in active engagements. As such, across all our core businesses, we have designated representatives to reach out to key stakeholders via various engagement methods. During these engagements, we take the opportunity to share and update our stakeholders on pertinent details and information, have ongoing discussions to identify material issues as well as find ways to achieve common goals. 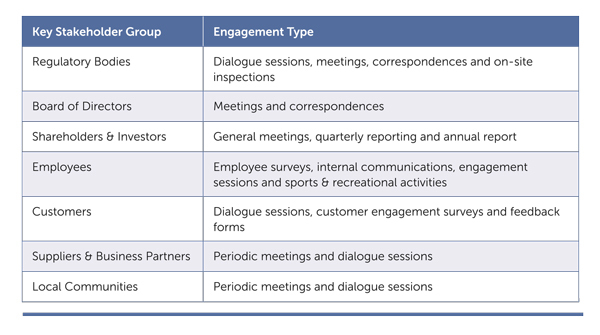 Based on feedback and views from our stakeholder engagement initiatives, we are able to identify the top 20 issues in relation to our Group’s business operations. All the issues within the Materiality Matrix will be reviewed from time to time and revised accordingly. 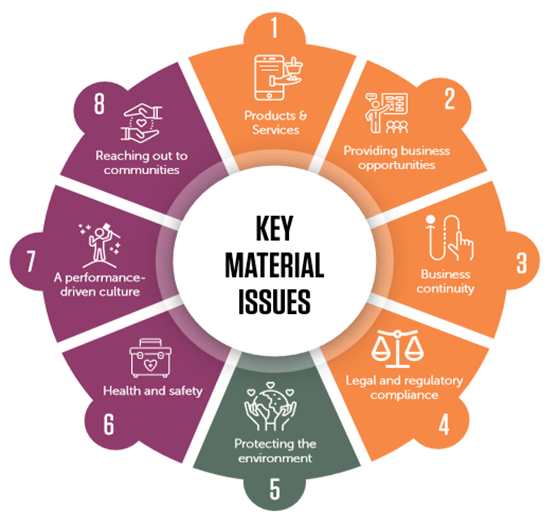 We assessed the issues based on stakeholder priorities and determined the material issues that are most relevant to the Group’s operations and have the greatest impact. 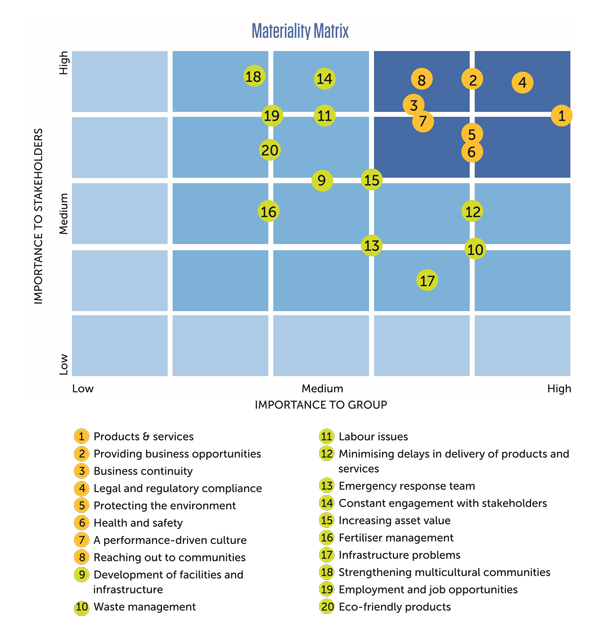 The top eight risks and opportunities deemed to be most important to the Group and stakeholders are reported in this Sustainability Report.